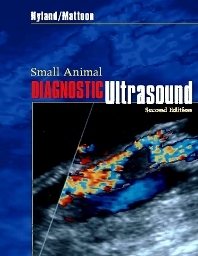 Small Animal Diagnostic Ultrasound outlines the basic physical principles of ultrasound, as well as imaging artifacts and the use of ultrasonography, in a logical body-systems approach. This second edition is completely revised and up-to-date, detailing current developments in ultrasonography. Two completely new chapters on thoracic and musculoskeletal ultrasound, as well as revised coverage of cardiology, CT/MR, and the reproductive system make this edition even more useful and clinically relevant. Full-color illustrations and color Doppler images of abdominal organs enhance and clarify discussions in the text.